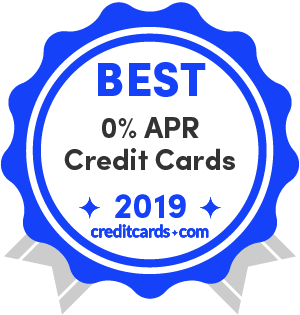 Arguably the best credit card for balance transfers in particular, the Wells Fargo Platinum Visa card features a 0% offer of 18 months for purchases and qualifying balance transfers, then 13.74% - 27.24% variable. A notable feature is the benefit of up to $600 protection on your cellphone ($25 deductible, fees apply) against covered damages or theft when you pay your monthly bill with this card. With 18 months of 0 interest on balance transfers, you can pay $50 a month in 6 months with no interest for that trampoline you bought for the kids. Planning a spring skiing trip? You can pay 0% interest until well into 2020. The variable go-to rate is 13.74% - 27.24%, which is a large range that's great on the lower end but high on the upper end. Also, there are no ongoing rewards or a sign-up bonus. If your spending is primarily on travel and dining, consider the Propel which earns 3X points back for purchases in these categories. The sign-up bonus is sizable: 30,000 points, worth $300, is yours after you spend $3,000 in the first 3 months. Finally, there is no annual fee. An intro 0% interest offer of 12 months on purchases and qualifying balance transfers is mediocre, and is followed by a regular APR of 16.24% - 27.24% variable, which is serviceable on the lower end of the range but very high at the maximum. Bottom Line: The Propel shines if chasing rewards is your primary goal and the zero interest offer is a secondary concern. The national average was at 17.69% the week of April 22, a historic high for credit cards. The average rate among low interest credit cards is currently 14.69%. Usually, the rates are variable and depend on the Federal Reserve's rates as well as your payment habits. In the case of 0 APR cards, the lower rate on the scale is often below the national average.